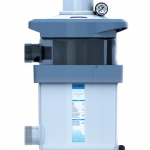 The self-cleaning NanoFiber Auto filter for pools is not a traditional cartridge filter. The difference lies in the material used to make the filter. The innovative material used to make the filter is of a higher quality than other filters thanks to the nanofibre network, which filters particles as small as 5 to 8 microns. The NanoFiber Auto filter can be connected to a manual valve, or an automatic valve. 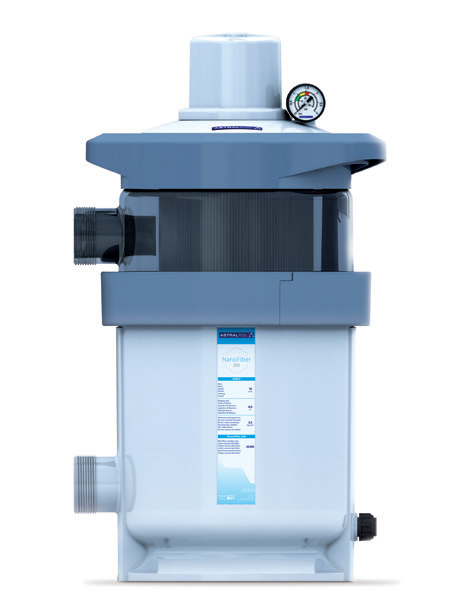 The addition of electronics to the self-cleaning system in the filter medium delivers greater convenience for end users.